GN 1200 20-inch straight smart cord The GN 1200 cord is the solution to a common problem of not being able to connect headset and telephone. Now, with the universal GN 1200 'smart' cord, the cord will work with virtually any phone providing greater convenience. It works with most desk phones including IP hard phones - Microphone amplification to boost transmit levels when connecting to low transmit volume phone systems - Simple slide adjustment for easy setup GN 1200 features eight separate wire schemes - including 3 with built-in microphone amplification. Just connect the GN 1200 and headset through the Quick Disconnect plug and flick the slider from one position to the next until a dial tone is heard. It's as simple as that! 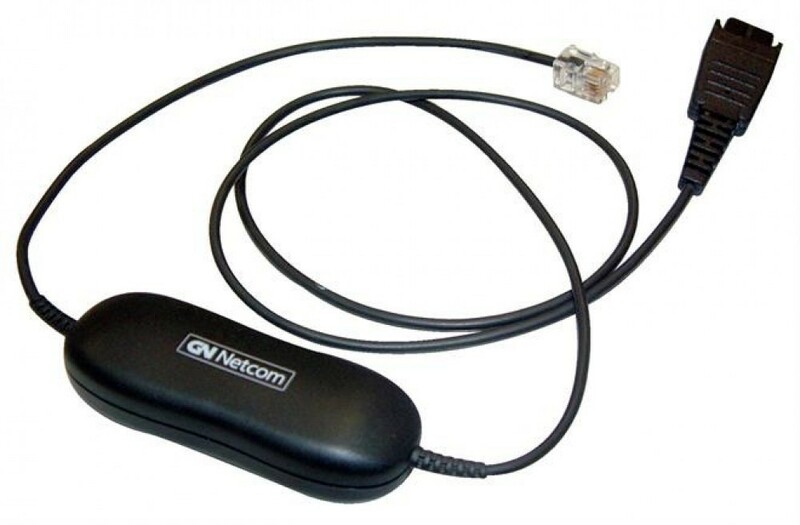 Available in both straight and coiled versions, the GN 1200 fits virtually all telephones featuring a standard RJ 9 modular connector.